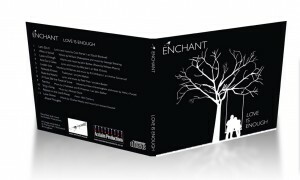 Enchant had a wonderful night singing at St Paul’s Church on June 16th. The service was to celebrate all the music connected with the Church and it was only right that Enchant, as very close friends of the Church, were involved. We sang a brand new choral arrangement by John Barber called ‘Inside’ to open the service, a new setting of Psalm 121 by John Barber as anthem, four hymns, Magnificat and to finish ‘Peace Thoughts’, which you will find on our new album. We thank St Paul’s for the invitation and hope to maintain our close relationship with them in the future. This entry was posted in Uncategorized on 21st June, 2013 by John.